Like most people in the arts you are probably waiting to do your taxes at the last minute. You would much rather be creating art, writing a script or shooting a movie then crunching numbers and poring through old receipts. If it helps, consider it a civic duty to pay your taxes since those funds are used to cover many of the communal goods we use. But, the truth is even if you do not think it is your civic duty, you simply can not avoid them. As the Benjamin Franklin saying goes, “In this world nothing can be said to be certain, except death and taxes.” Therefore, you have to get them done. And it is worth taking the time to understand the process even if you are hiring someone else to do your taxes for you. Understanding taxes as a filmmaker (producer, director or screenwriter) can help you with your tax goals of paying what you owe (if anything) and getting a nice refund or tax write-offs. If the payer is treating you as a self-employed individual, then it is because the payer has determined that an employer-employee relationship does not exist in your case. However, you or the IRS might disagree. If you were not an employee of the payer, where you report the income depends on whether your activity is a trade or business. You are in a self-employed trade or business if your primary purpose is to make a profit and your activity is regular and continuous. If you are in a self-employed trade or business, you must include payments for your services on Schedule C (Form 1040) (.pdf), Profit or Loss From Business (Sole Proprietorship), or Schedule C-EZ (Form 1040) (.pdf), Net Profit From Business. If you are self-employed, you will also need to complete Schedule SE (Form 1040) (.pdf), Self-Employment Tax, and pay self-employment tax on your net earnings from self-employment of $400 or more. There is no withholding of tax from self-employment income. As a self-employed individual, you may need to make estimated tax payments during the year to cover your tax liabilities. If you are not an employee of the payer, and you are not in a self-employed trade or business, you should report the income on line 21 of Form 1040 (.pdf), U.S. 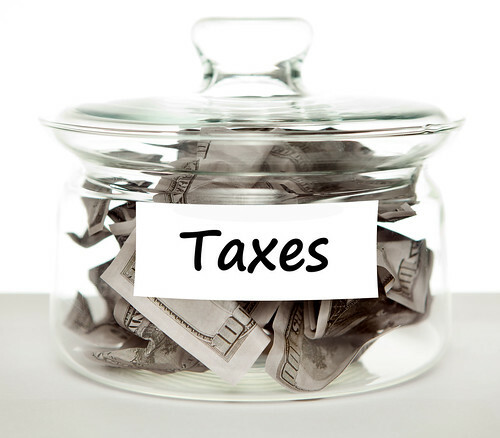 Individual Income Tax Return, and any expenses on Schedule A (Form 1040) (.pdf), Itemized Deductions. If you believe you may be an employee of the payer, see Publication 1779 (.pdf), Independent Contractor or Employee, for an explanation of the difference between an independent contractor and an employee. For more information on employer-employee relationships, refer to Chapter 2 of Publication 15, (Circular E), Employer's Tax Guide, Chapter 2 of Publication 15-A, Employer's Supplemental Tax Guide, and Tax Topic 762, Independent Contractor vs. Employee. social media promotions a filmmaker is contracted to do. Unique Expenses such as lessons & classes, videos & dvds, etc. The specifics of how any of the above expenses can be deducted requires more space than this article will allow so I recommend discussing it with your accountant, book-keeper, lawyer, tax preparer or trusted adviser if you can deduct any items that might fall under those categories. Feb.10.14 – transportation to and from rehearsals: $7.50; meals: $12.53. Feb. 16.14 – location scouting costs (gas and tolls): $65.00; The Hollywood Reporter subscription: $199.00. Gross receipts for the income you receive from your business such as itemized bills stamped paid, receipt books, invoices, Forms 1099-MISC, etc. Purchase records for items that you buy and resell to customers, such as canceled checks or other documents that identify payee, amount, and proof of payment/electronic funds transferred, as well as, cash register tape receipts, credit card receipts and statements, etc. Expense records for costs that you incur outside of purchases to carry on your business such as cancelled checks, account statements, cash register receipts, etc. Asset records for property, for example, machinery and furniture, that you own and use in your business such as proof of when and how you acquired the assets, Section 179 deductions taken, cost of any improvements, etc. Employment records for at least four years. For a more a detailed look at these records, visit: http://www.irs.gov/Businesses/Small-Businesses-&-Self-Employed/What-kind-of-records-should-I-keep. Danny Jiminian is an attorney who specializes in Entertainment Law, Intellectual Property, Business Law and Nonprofits and practices out of New York. For a free consultation, email him.